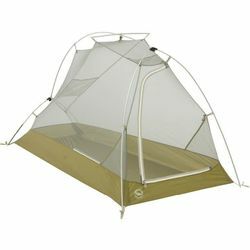 Big Agnes Seedhouse SL1 Tent. Seedhouse SL tents have become the signature series in our backpacking line; superlight pieces of gear designed to stand the test of time and the backcountry. Like a gin martini or a peanut butter and jelly sandwich, Seedhouse SL tents are simple, efficient, and classic. If it’s your cross-country bike tour or the weekend peak you’ve been looking to bag, the Seedhouse will forever be faithful. Like a fine wine, the Seedhouse tents get better with age. Generous living space, easy set up, and extra Sidecar vestibules will keep this classic tent a favorite on the trail for years to come.